Kethepally police on Monday arrested a person and rescued 30 cows, which were being transported illegally to Hyderabad. 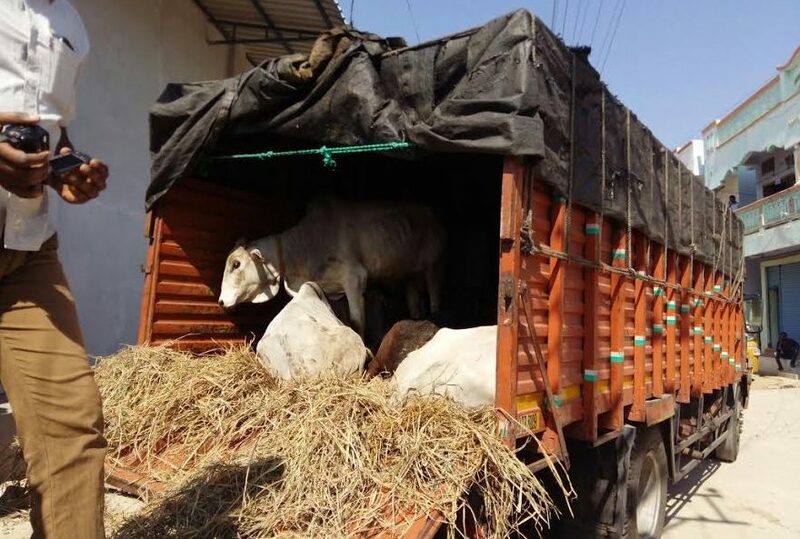 Nalgonda: Kethepally police on Monday arrested a person and rescued 30 cows, which were being transported illegally to Hyderabad. On receiving information, RSS and Hindhu Vahini members on Monday morning stopped a vehicle in which cattle at Korlaphad toll plaza and informed the police. Kethepally police rushed to the place and found that 30 cows were being transported to Hyderabad in the vehicle. They also took the vehicle’s driver, Pogati Shoban Babu (46), into custody. Later, the cows were shifted to a Goshala at Nakrekal.